This past weekend the Junior Board held its first ever Junior Board field trip. The purpose of this weekend retreat was to bring everyone together in a purely social event with food, games and general good times. We all spend a lot of time and energy volunteering and we wanted to change things up a little with a focus and fun and relaxation. 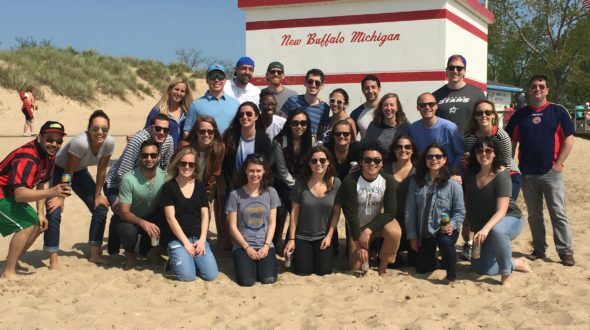 20 Junior Board members along with a handful of UI staff and significant others spent the weekend in New Buffalo, MI. 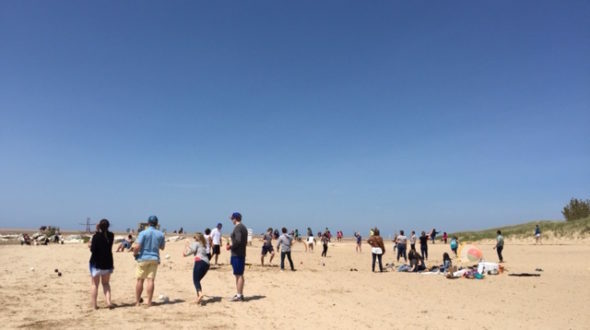 New Buffalo proved to be an excellent location for our group and we made use of the great beach, vacation rentals and easy access dining to keep the party moving along. 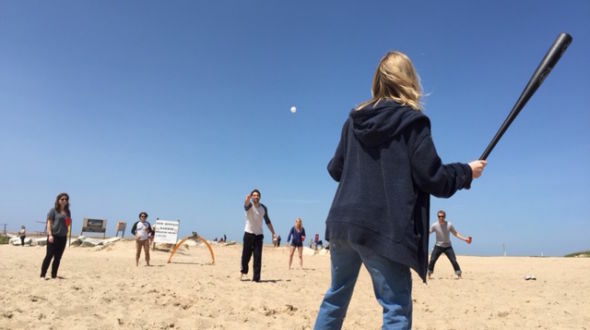 Saturday was an all day beach fest with lots of games like Spike Ball, soccer (of course), bocce ball and an exciting game of whiffle ball. After a day at the beach we reconvened at New Buffalo Bill’s BBQ where we took over the restaurant and enjoyed some delicious smoked meats. Founding Board of Directors Member Jan Smith was also able to join us for dinner which was a nice surprise. Jan splits her time between Chicago and New Buffalo. After some serious bonding and belly aching laughs the weekend was over before we knew it. The trip was a huge success and planning for next year is already happening. There was also talk of other trips if enough Junior Board members are interested. Maybe hitting the ski slopes this winter?? A big thanks to everyone who came out and helped make this past weekend a reality!